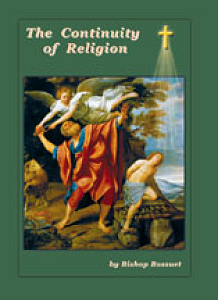 This history of the true religion, written some three hundred years ago by the “Eagle of Meaux,” Bishop Jaques Bossuet, is a study of the Old and New Testaments in the light of the continuity of God’s interactive and faithful presence in the salvific affairs of His people. There is no book which better explains the meaning behind the types and figures of so many seemingly enigmatic commandments given to the patriarchs and prophets of old by the Lord God. 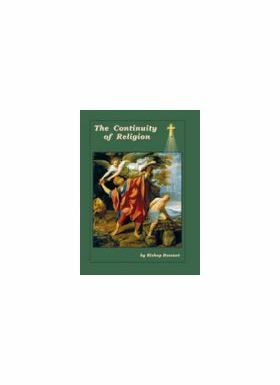 No book better illustrates God’s particular and permissive providence in the rise and fall of nations and empires demonstrating, too, how those powers willfully estranged from the true religion cannot act outside of the Creator’s universal economy of salvation. Bossuet’s genius for teaching and lucidity of style merge beautifully in this unequaled masterpiece of pious erudition. As you read this book you will understand how it is that nothing of the ancient covenant was left unfulfilled in Christ and/or in the Church, His extended body. This is scriptural theology for clergy, religious, or laity. It is the complete story, this side of heaven, of man’s fall and his consequent restoration in Christ through the Church. Another chapter of this continuity of religion yet remains to be completed — an everlasting one, the Author of which is the Word of God — we pray we may all read the final chapter in heaven.